For students and alumni based in Los Angeles looking to see new and exciting films, look no further than the Downtown Film Festival L.A which takes over the city from July 9-19. With films being shown in over fifteen venues across downtown L.A., attendees can see movies in such locations as historic movie theaters, nightclubs, bars, museums, and much more with the festival actually shutting down streets for certain programs. 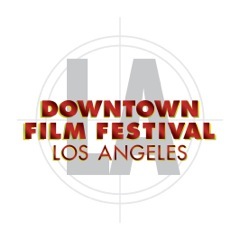 Established in 2008, Downtown Film Festival L.A. has established itself as a major festival for showcasing independent film having screened over 1,000 films from around the world. For the festival’s 2014 edition, over 200 international films will receive their premieres and encompass everything from features to shorts, experimental to environmental films, and silent films to music videos. The festival also features a diversity program that includes Latino, Asian, and African film series. Furthermore, music fans will find much to enjoy with the festival’s music documentary series that takes place at the Grammy Museum in LA Live! As it has grown, Downtown Film Festival L.A. has gained the support of former Los Angeles Mayor Antonio Villaraigosa, Senator Ron Calderon, Assemblymen Mike Davis, County Supervisor Gloria Molina, LA city council members Jan Perry, Jose Huizar, and Ed Reyes, Downtown Los Angeles Neighborhood Council, Community Redevelopment Agency, Historic BID, and many more. So if you’re looking to immerse yourself in film, music, and culture, the Downtown Film Festival L.A. is definitely an event worth checking out.